L. Larry Clumeck is a founding member of Clumeck Stern Schenkelberg & Getzoff and has been engaged in public accounting since 1975. Larry's 35 plus years of experience include specialization in the areas of estate planning, estate and gift taxation, individual and business tax planning. His expertise includes accounting, auditing, consulting services and business management for a widely diversified group of commercial, service, nonprofit and individual clients. Larry is also experienced in litigation support services, including expert witness testimony, court accounting, business valuations, cash availability analysis and tax analysis regarding structuring of property settlements. Larry is fluent in French. Larry received his Bachelor of Science degree from California State University, Los Angeles in 1979. He received his Masters of Science degree in Taxation from Golden Gate University in 1989. Currently a member of the American Institute of Certified Public Accountants and the California Society of Certified Public Accountants, he is a former member of the Taxation Committee and the Financial Planning Committee of the Los Angeles Chapter of the California Society of Certified Public Accountants and the Taxation Committee of the American Institute of Certified Public Accountants. Larry has been a frequent speaker and lecturer on such topics as estate planning, federal estate and gift taxation, and business planning before a variety of professional groups and professional continuing education courses. He is very active in the community and enjoys working with various charitable and religious institutions. He currently serves as vice-president of the Sephardic Temple Tifereth Israel and the Sephardic Tradition & Recreation (STAR), a youth organization. He is the former president of the Sephardic Temple Tifereth Israel and of the Los Angeles Sephardic Home for the Aged. 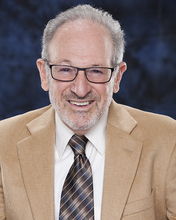 Adrian Stern is a founding member of Clumeck Stern Schenkelberg & Getzoff and has been engaged in public accounting since 1979, specializing in the areas of management consulting and the installation and evaluation of data processing systems. He is experienced in expert witness testimony regarding computer systems, damage calculations, loss of earnings and professional malpractice cases. Adrian provides consultation to CPA firms regarding valuations, mergers and acquisitions. He is also experienced in auditing and accounting involving various types of manufacturing, distribution and professional service clients as well as real estate operations and acquisitions. Adrian is the recipient of the 1991 and 2009 Instructor Excellence Award from the California CPA Education Foundation. He is the author and instructor of numerous California CPA Education Foundation's courses including "How to Buy and Sell CPA Practices,” "Excel for CPAs.,” “Legal and Financial Aspects of Restructuring and Liquidation,” “Stopping Fraud in Your Business,” “Finding and Evaluating Frauds: A Case Study Approach,” and “Advanced Fraud Case Study”. He is also the author and editor for the Harcourt Brace book, "CPAs Complete Billing and Collection Handbook" and an editor of the "Managing and Accounting Practice Guide" published by the AICPA. Adrian has lectured all across the United States speaking on various topics to over 10,000 fellow CPAs in 20 states. Adrian is a member of the American Institute of Certified Public Accountants and the California Society of Certified Public Accountants. He is a past member of the Board of Trustees for the California CPA Education Foundation. Adrian has also served on many committees and task forces for the California Society of Certified Public Accountants and the Education Foundation. Adrian is the past Chairman of Partners in Care Foundation as well as past chairman of the audit committee. He is a past member of the executive committee and former treasurer for Temple Adat Elohim. He is also currently the Chairman of California Center for Public Health Advocacy as well as the former treasurer. Adrian is also currently the treasurer for the LAFD Foundation a group that supports the local fire departments. Adrian is Adjunct Professor at the University Of Southern California Marshall School of Business where he teaches accounting. Adrian earned his Bachelor’s degree from the University of Michigan in 1979 and his Masters of Science degree from the University of Southern California in 2017. 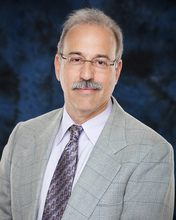 Stephen N. Getzoff has been a partner in Clumeck Stern Schenkelberg & Getzoff since 2002. Stephen was a principal member of his own firm for 29 years prior to joining CSSG. He has been a Certified Public Accountant since 1972. Other professional credentials include being a Certified Fraud Examiner, Certified in Financial Forensics, Chartered Global Management Accountant, Certified Internal Controls Auditor, Certified in Homeland Security-Level III and a Diplomate of the American Board of Forensic Accountants. Stephen is a member of the American Institute of Certified Public Accountants and the California Society of Certified Public Accountants. Stephen’s forty five plus years of experience advising clients in business, accounting, taxation and estate issues makes him uniquely qualified to assist clients with their business and personal financial needs. Additionally, Stephen is experienced as an expert witness and testified in over 30 cases regarding civil, criminal forensic and fraud related matters. He has investigated and prepared numerous criminal cases that were presented to local and federal law enforcement agencies for prosecution. Stephen is an instructor and has authored and co-authored several books relating to fraud prevention, detection, investigation, reporting and forensic accounting throughout the western United States. He was an instructor at California State University Northridge where he taught accounting and taxation classes. Stephen is also a frequent lecturer for the Los Angeles Police Department. Stephen received his Bachelor of Science degree in Business Administration with an emphasis in accounting from California State University Los Angeles. He received his Masters of Science degree in Business Administration specializing in accounting and taxation from California State University Northridge. Stephen has served his community as a member of several non-profit organizations for over 40 years. He has been a Reserve Police Officer and Professional Specialist since 1990. 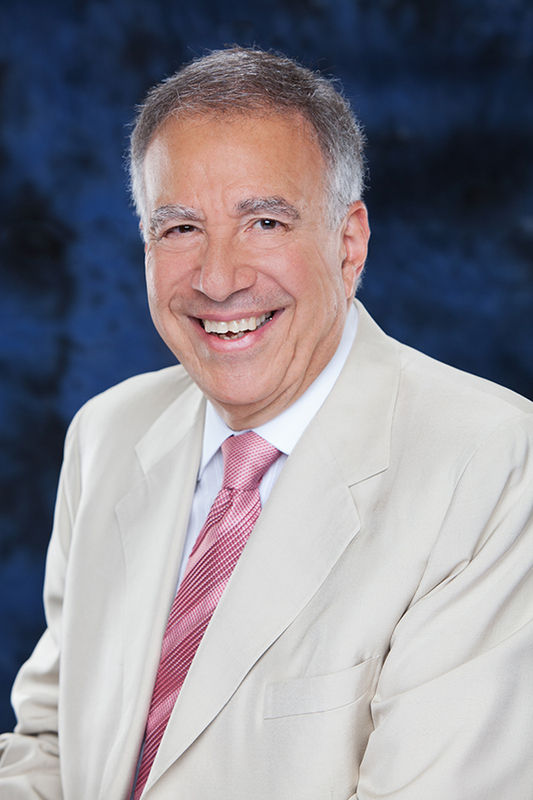 He is currently the Secretary and member of the Board of Governors of the Providence Tarzana Medical Center Foundation; Treasurer of the World Children’s Transplant Fund; member of the Board of Directors of the Police Unity Tour of Southern California-Chapter VII; Founder and President of Badge2Badge Foundation; and Founder and Past President of the Topanga Boosters. Stephen has been recognized as the recipient of the Valley’s Trusted Advisors Award in 2013; Los Angeles Police Department Peer Support Member of the Year 2009; and Reserve Officer of the Year for 2006 and 1992. Stephen is a Retired Lieutenant Commander, United States Naval Reserve. He received several medals and recognition for his 20 years of service to his country. Stephen is married and is very proud of his three children and two wonderful grandsons. Sanford J. Madnick (“Sandy”) can be called the "Renaissance Man" of the firm. 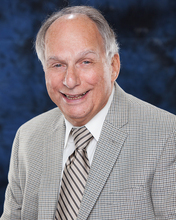 He joined Clumeck Stern Schenkelberg & Getzoff in 1995, bringing with him his vast experience as a certified public accountant for the previous five decades. He continues to help the firm grow in many exciting areas. Sandy graduated from DePaul University with a Bachelor's degree in Science Commerce in 1961 and has been a certified public accountant, first in Illinois and then in California, since 1965. His professional affiliations include the California Society of Certified Public Accountants (CSCPA) and the American Institute of Certified Public Accountants (AICPA). He has served as a peer reviewer for the AICPA Private Companies and SEC Practice sections and as a quality reviewer for the CSCPA's Quality Review division. Over the years, Sandy has acquired a wide range of technical skills, not only in accounting and auditing but also in tax preparation and regulations. His specialties range from audits of nonprofit organizations, employee 401K pension plans, to accounting and audits of real estate operations and construction, as well as audits of a multiple variety of business organizations. In addition, Sandy has also been involved in the accounting for major Federal Trade Commission receiverships. Sandy also serves on the audit committee of a major active community nonprofit organization. Sandy enjoys complicated accounting transactions and finds them an exciting challenge. Sandy is a longtime member of Temple Aliyah in Woodland Hills, where he served on their Ways & Means Committee and assisted the synagogue in fund raising activities. He is an active swimmer at and supporter of the West Valley Jewish Community Center. Sandy lives in Calabasas with his wife Marilyn and spends as much of his free time as possible with his four children and six grandchildren. 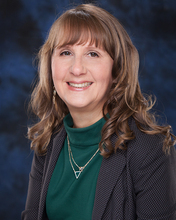 Denise has more than 30 years of experience in the accounting and finance profession, including over 20 years in public accounting and 10 years in private industry as a small business owner. She specializes in the taxation of corporations, partnerships, LLCs, individuals and not-for-profits. Denise plays a significant role in tax compliance, planning and consulting services to a variety of industries including real estate, retail, manufacturing, distributing, professional services, and nonprofit entities. She has experience working with the Internal Revenue Service on voluntary disclosures, examination issues and payment arrangements. She has presented numerous tax exempt programs to nonprofit boards and at various nonprofit state conferences. Denise is a graduate of California State University, Northridge where she obtained a Bachelor of Science Degree, Business Administration with an option in Accounting Theory and Practice. Her work experience includes KPMG, Los Angeles and Parente Beard, Philadelphia. She is a member of the American Institute of Certified Public Accountants and the California Society of CPAs. Denise is currently a board member of ONEgeneration and a member of the Strategic Planning Committee. In her spare time, Denise is married and enjoys gardening, hiking and spending time with her adult children. LaVern H. Schenkelberg has been engaged in public accounting since 1960 including accounting, consulting services and business management. He graduated from Creighton University with a Bachelor of Science Degree in Business Administration. LaVern specializes in consultation and planning for individuals, partnerships, limited liability companies, corporations, estates and trusts with an emphasis on taxation. LaVern is a current member of the American Institute of Certified Public Accountants and the California Society of Certified Public Accountants. He is also a former member of the Management Consulting Service Committee, California Society of Certified Public Accountants. LaVern enjoys wine and going to places where the grapes are grown including France and Italy. He has the distinction of pitching fast pitch softball for the same team for more than 30 years. Present recreational interests include tennis and watching sporting events.